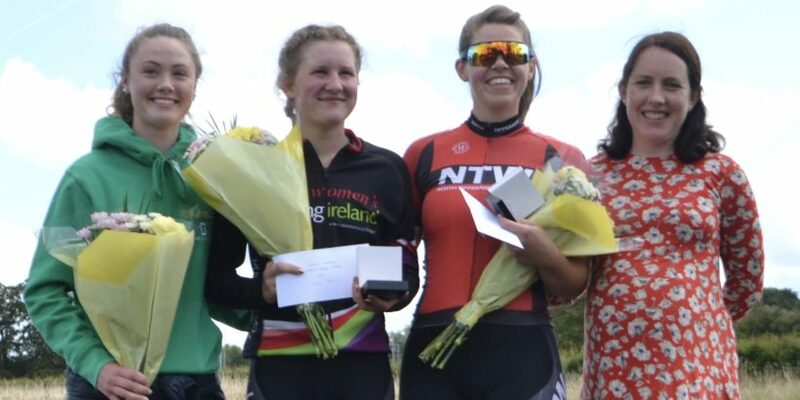 Caoimhe O’Brien (Lakeside Wheelers) has won the 2018 Women’s Commission Intermediate League at Corkagh Park today (Saturday August 25th) . The Under 16 Rider went into the event wearing the Women’s Commissions League Leaders Jersey , and she increased her lead on the day by sprinting home to win the final stage. Claire Ní Reachtagain took the Sprint for 2nd narrowly ahead of Ewa Kuras (Galway Bay CC) and the result moved Claire up to 2nd Overall in the final League Standings. 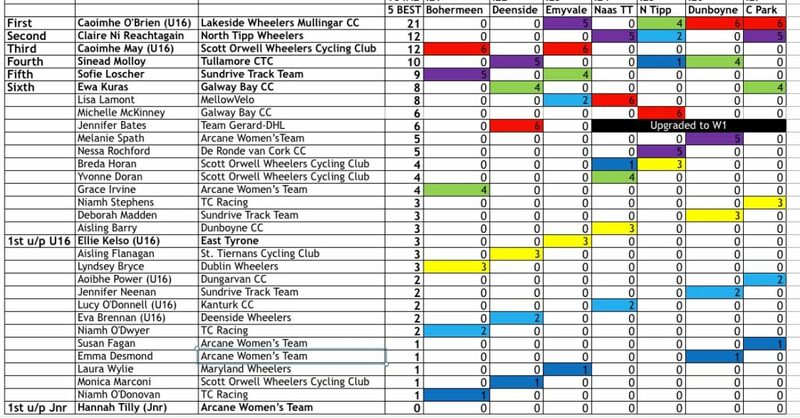 has been a major success this year for Women’s Cycling , and the Women’s Commission would like to thank the host clubs for helping to promote Women’s Racing. The Prizegiving for the Race and the Overall Intermediate League Medal Presentation was held immediately after the Event , with the Women’s Commission Chairperson Róisín Kennedy presenting the Medals.